The 2006 Nobel Prize in Physiology or Medicine was awarded to the discoverers of RNA interference, Andrew Fire and Craig Mello. 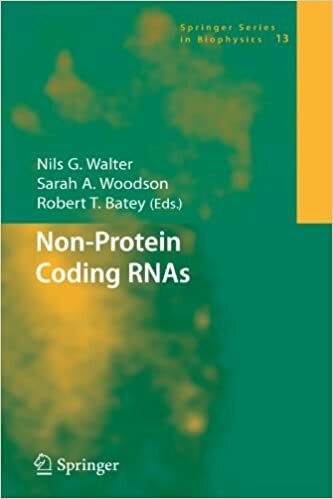 This prize, which follows “RNA” Nobels for splicing and RNA catalysis, highlights just one class of recently discovered non-protein coding RNAs. Remarkably, non-coding RNAs are thought to outnumber protein coding genes in mammals by perhaps as much as four-fold. In fact, it appears that the complexity of an organism correlates with the fraction of its genome devoted to non-protein coding RNAs. Essential biological processes as diverse as cell differentiation, suppression of infecting viruses and parasitic tra- posons, higher-level organization of eukaryotic chromosomes, and gene expression are found to be largely directed by non-protein coding RNAs. Currently, bioinformatic, high-throughput sequencing, and biochemical approaches are identifying an increasing number of these RNAs. Unfortunately, our ability to characterize the molecular details of these RNAs is significantly lacking. The biophysical study of these RNAs is an emergent field that is unraveling the molecular underpinnings of how RNA fulfills its multitude of roles in sustaining cellular life. The resulting understanding of the physical and chemical processes at the molecular level is critical to our ability to harness RNA for use in biotechnology and human therapy, a prospect that has recently spawned a multi-billion dollar industry.